Genuine phosphor bronze alloy retains flexibility as well as brilliant tone for many hours of hard play. The Pb022 strings have a computer-controlled wrapping around a hex core that ensures consistency and extends life. Many top guitarists won't play any other brand. D'Addario is the world's largest manufacturer of strings for musical instruments. 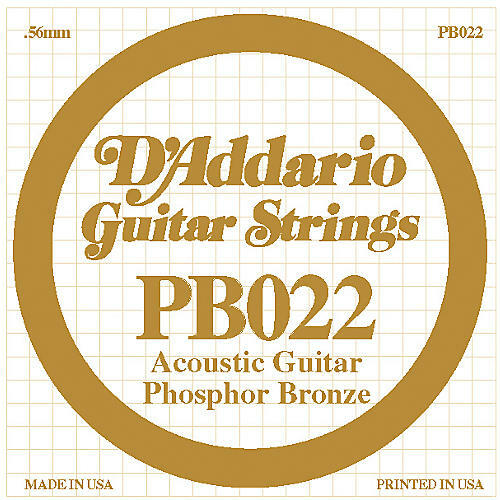 Regardless of your playing style, D'Addario has a guitar string set that's right for you.